The VU University Medical Center (VUmc) is one of the largest care and research institutions in the Netherlands with over 750 beds and 5.600 employees, and is located in the Amsterdam metropolitan area, The Netherlands. Yearly, the VUmc awards over 100 PhD degrees and publishes more than 2.300 peer-reviewed articles in leading scientific journals. The VUmc researchers who participate in IBenC all work within the EMGO+ Institute for Health and Care Research, which is the largest research institute of the VUmc. The EMGO+ Institute applies multidisciplinary research in primary care and public health, focusing on chronic diseases and ageing. VUmc will coordinate IBenC (WP1) and integrate the different databases in order to fulfil the main objectives (WP7). Our group has a strong record in clinical and economic care evaluations, and of implementing care innovations in community and institutional care. Hein van Hout is senior researcher at the Department of General Practice & Elderly Care medicine at the EMGO+ Institute of the VU University medical center Amsterdam. He leads a research group on primary care geriatrics and is involved in various studies aimed at case-finding, prevention and treatment of persons with dementia, depression and frailty and their relatives. He participates in the international networks of interRAI and INTERDEM. Henriëtte van der Roest (PhD) is a social psychologist. 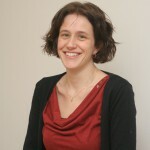 During her PhD at the VU University Medical Center/GGZ Buitenamstel she was involved in a national study on care needs of community dwelling people with dementia and their carers and was involved in the development and evaluation of an interactive information system for dementia care in the community. After finishing her thesis she has been working at the University College London where she was involved in a large British RCT on reminiscence groups for people with dementia. Since 2009 she is working as a researcher at the VU University medical center at the Department of General Practice and Elderly Care Medicine on the SHELTER study (FP7; ended 2011) and the STAR project (LLP). The STAR project aims to develop and evaluate an online training for carers of people with dementia. In the SHELTER study a comprehensive assessment tool, the Minimum Data Set (MDS) for long term care residents (InterRAI-LTCF) was validated as a methodology to assess the provision of care in long term care facilities in Europe. The study led to the first, cross-national European database of long term care residents, containing uniform information previously not available on residents typology and outcomes, quality measures and services characteristics. Karlijn Joling (PhD) is a health scientist and epidemiologist. In April 2012, she defended her PhD thesis on depression and anxiety in family caregivers of persons with dementia. A major part of this thesis consisted of a large multi-centre randomised trial to evaluate the effectiveness of a family meetings intervention for family caregivers of dementia patient on the prevention of depression and anxiety. After finishing her thesis, Karlijn has been working at the VUmc Alzheimercenter where she was involved in the development of the “Deltaplan Dementie”, an innovative national strategy to confront the dementia problem. She currently works as a postdoc researcher at the department of General practice of the EMGO-institute for Health and Care Research. Dinnus Frijters, PhD, is for one day a week researcher at the Department of General Practice & Elderly Care Medicine of VU University Medical Center (VUmc) in Amsterdam. In addition, he is Director of ZorgDNA, a private company based in Utrecht, the Netherlands. Core business of ZorgDNA (www.zorgdna.nl) is the measurement of client experiences in Health Care settings. Next, Dinnus Frijters is a fellow of interRAI, an international consortium of researchers responsible for on-going research and development of the interRAI integrated suite of instruments for health care. His main activity at VUmc is the management of the RAI database and its use for research and his participation in the European iBENC project. For additional information, see www.emgo.nl/personal_pages. 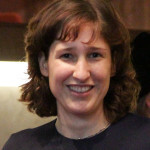 Judith Bosmans studied Medical Informatics at the University of Amsterdam. In 2002, she started her PhD project at the EMGO Institute of the VU university medical center in Amsterdam. In her PhD thesis entitled “Cost-effectiveness of treatment of depression in primary care” she presents the results of several economic evaluations in the primary care setting. During her PhD period she completed the postgraduate epidemiology programme of the EMGO Institute, which resulted in a MSc in Epidemiology. In February 2006, Judith started working as assistant professor at the Department of Health Sciences of the VU University in Amsterdam. Besides teaching courses for both bachelor and master students, she is involved in many economic evaluations in mental health and elderly care. Lisanne van Lier (MSc) graduated in 2011 with a master degree in Health Sciences at VU University Amsterdam. During her masters she focused on policy and organisation of health care. After graduation she worked as research assistant at the department of Public Health at Erasmus MC in Rotterdam. The study aimed to compare the effects of different levels of (integrated) health intervention care programs on preventing hospital related functional loss among elderly patients by comparing a new intervention program to two usual care programs. Lisanne was involved in the data collection. Since March 2013, she is working on the IBenC project as a PhD-student.